H. suffered from a pulmonary ailment, and during the autumn of 1816, having been advised to winter in a warmer climate, he travelled to Pisa (Italy) with his brother L. The great italian poet Ugo Foscolo, who briefly met H. at Holland House, wrote two letters of presentation to assist him during his trip to Italy, calling him “the most eminent speaker of the Parliament”. L. the brother of Mr. H.
The two brothers arrived in Pisa in November 1816 and took their residence in the Casa Cioni, Lungarno n. 727. Some weeks passed, and though the health of Mr. H. did not improve, his morale definitely did. During this period he made the acquaintance of several people in Pisa, among whom Major Langton and the family of Jessie Allen, later wife of the economist Jean Charles Sismondi. Towards the beginning of January his friend John Allen, being quite worried about the health of Mr. H., requested some advice from the physicians Baillie and Warren, who had visited Mr. H. a few weeks before his departure to Italy. He wrote him, telling him not to worry because his illness did not seem dangerous, just inconvenient, and the situation would improve as his strength would return. The physicians, nonetheless, recommended a dose of mercury pill and some carbonate of potassa. Mr. H. reported these instructions to Dr. Andrea Vaccà, a very well known physician in Pisa who seemed to be “very much in the dark” about the case but accepted to follow Mr. H.’s condition by paying him almost daily visits. At the end of January Dr. Vaccà witnessed the death of Francis North, the Earl of Guildford, a man well known to Mr. H. H. was very touched by this death, as he was then staying in the same city of Pisa. Lord Guildford was buried, two days later, in the Old English Cemetery of Livorno. The opium therapy that Mr. H tried under the auspices of Dr. Vaccà seemed to have some very positive effects as he declared many times in his letters between the end of January and the first days of February 1817. 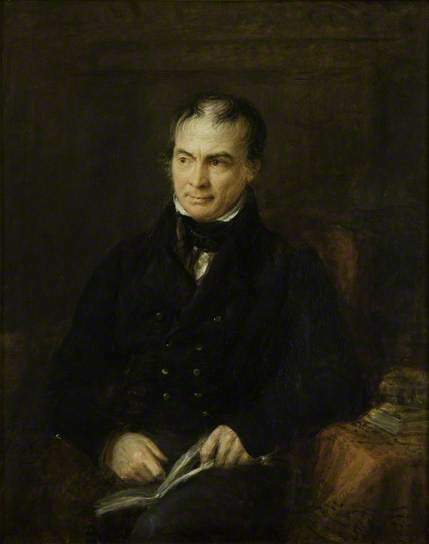 Dr. Polidori, Byron’s personal physician, also attended him during this period in which he felt a recovery to be possible. Unfortunately, these were all illusions: two days after he wrote his last letter to his father (on Feb. 4th, 1817), the difficulty of breathing and the cough reappeared with some severity. 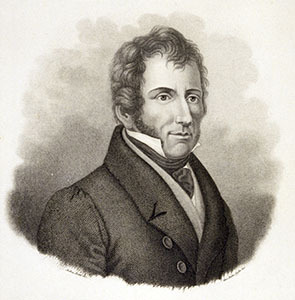 Dr. Vaccà, called by Mr. H.’s brother L., came at seven in the morning on Saturday, February 8th, and QUOTE found his patient labouring greatly in his breathing, with strong palpitations of the heart, and a low, intermittent, and irregular pulse; his forehead [was] covered with a cold sweat, and his face and hands [were] of leaden colour. He was, however, perfectly sensible, and spoke in [a] clear, distinct manner; expressing neither apprehension nor anxiety about himself. Various stimulating applications were tried, but they afforded no relief; the difficulty of breathing gradually increasing. L., Mr. H.’s brother, had entire confidence in the skills of Dr. Vaccà but requested, towards the afternoon, that there might be a consultation with another physician. They came together soon after four o’clock and L. received them in the adjoining room, leaving Mr. H. alone about ten minutes. On drawing aside the curtain, after having returned to the bedroom, he found his face deadly pale, his eyes fixed, and his hand cold; for a few moments he flattered himself that he had only fainted from weakness; but the sad reality was soon revealed: his brother Francis had just been taken away forever. END QUOTE? This is how the last days and hours of Mr. H.’s life were described by his brother Leonard; Francis Horner, our Mr. H., died on February 8th, 1817 in Pisa. He was only 38 years old. Résultat de la section du cadavre du feu M. François Horner. Son corps n’était pas très maigre, et sa peau, surtout celle de la face, avait une teinte plombée; aux extremités des doigts elle était noire. L’ouverture du bas ventre fit voir tous les viscères et organes contenus dans cette cavité parfaitement sains; on remarqua seulement le systême veneux gorgé de sang. La section de la poitrine laissa voir les poumons singulièrement rapetissés, et particulièrement le poumon droit. Leur couleur était livide, et leur superficie très inégale: cette inégalité naissait d’un très grand nombre de corps blancs, transparens, de forme et de volume très inégal; les plus petits étaient comme des lentilles, les plus gros comme des amandes. De ces corps on en a voy ait beaucoup à la face antérieure des poumons, peu à la face postérieure. Ces corps étaient de petits véscicules remplis d’air; sous la compression elles reparaissaient, si on poussait de l’air dans la trachée-artère. Ces vessies n’avaient aucune communication avec le tissu cellulaire, qui unit les cellules aériennes entre elles, de manière qu’il ne s’agissait pas d’emphysème, mais de dilatation morbifique des cellules aëriennes. Une grande partie de la substance pulmonaire, et spécialement la partie postérieure de ces organes était condensée, durcie, et, dans beaucoup de points, entièrement hépatisée. Les lobes des poumons n’étaient pas adhérents entre eux; il n’y avait pas d’adhérences entre les poumons et la pleure. Les glandes lymphatiques des bronches étaient plus volumineuses qu’à l’ordinaire, la membrane des bronches légèrement engorgée. Le pericarde était sain; entre cette membrane et le coeur il y avait une petite quantité de sérosité. Le coeur était extrêmement flasque, et se laissait facilement déchirer par les doigts. L’oreillette droite était très dilatée, et remplie de sang. Le ventricule correspondant avait des parois très amincies, et c’était spécialement dans les parois de ce ventricule que l’on pouvait rémarquer le peu de ténacité de la substance musculaire que nous avons noté plus haut. Ce ventricule était rempli d’une substance blanche, assez compacte, fibreuse, fortement adhérente aux colonnes musculaires du ventricule. Cette substance était probablement de la lymphe plastique, formée dans les derniers moments de la vie. Les deux autres cavités du coeur ne présentèrent rien de particulier. Baillie (Anatomie Pathologique, ch. iv. sect. vi. et suiv.) et Lieutaud (Historia Antomica-Medica) rapportent quelques exemples d’affections pathologiques, qui ont des rapports avec celle que nous avons décrite; mais je n’en trouve pas une, où l’on ait remarqué dans le même individu le rapétissement des poumons, la dilatation d’une partie des cellules aëriennes, l’hépatisation d’une grande partie des poumons, et l’affection du coeur. Pise, le 12 février, 1817. 31, Lower Brook Street, 5th March, 1817. I have shown Vaccà’s account to Dr. Baillie, who considers the case as exhibiting a very unusual form of disease, and one which is evidently out of the reach of medicine. The state of the heart presented no unusual appearances; the flaccidity and tender structure of its fibres being met with very frequently in individuals whose constitutional powers have failed by slow decay: the appearance within the right ventricle was a coagulum of blood, not uncommonly found in that situation after death. The condensation of the lung is also not unfrequently met with, and justifies the opinion which Dr. Baillie held to you of such an alteration of structure being the probable cause of Mr. Horner’s difficulty of breathing, which was never attributed to water in the chest, but to an obstruction of the circulation of the blood through the lungs arising from some cause not easily distinguishable. The enlargement of the air cells to the extent mentioned by Dr. Vaccà is a disorder so rare, that there are only three instances to be found in the anatomical collections with which Dr. Baillie is acquainted. The immediate cause of death appears to have been owing to the increase of the obstruction of the lungs to such an extent, as to have presented the free passage of the blood through the branches of the pulmonary artery, by which the right side of the heart became gradually gorged with blood, and its action was slowly suspended. Francis’ brother Leonard revealed in his journals that “he derived the greatest comfort”, upon this trying occasion, “from the more than friendly attentions of Mrs. Drewe (the sister of Lady Mackintosh), her daughters, and the Miss Allens, her sisters, who had come to Pisa on a similar melancholy errand. They did not leave the last duties to their departed friend to be performed by strangers; and they stood by my side, when I laid the mortal remains of my dear brother in his grave, in the Protestant cemetery at Leghorn.”. Mr Horner was sensible to the last, but I do not know that he was aware of his immediate danger. We saw him the Wednesday previous, & thought he appeared so much better we were full of hope. Will you have the goodness to see Mr Elmsly immediately & tell him had I known his direction, I would have written to him myself, but Mr L. Horner is gone to Leghorn & will not return before the post goes out; he will inform Mr Horner’s other friends at Rome; (Mr Elmsly I mean). Mr Leonard is quite incapable of writing on the subject yet. 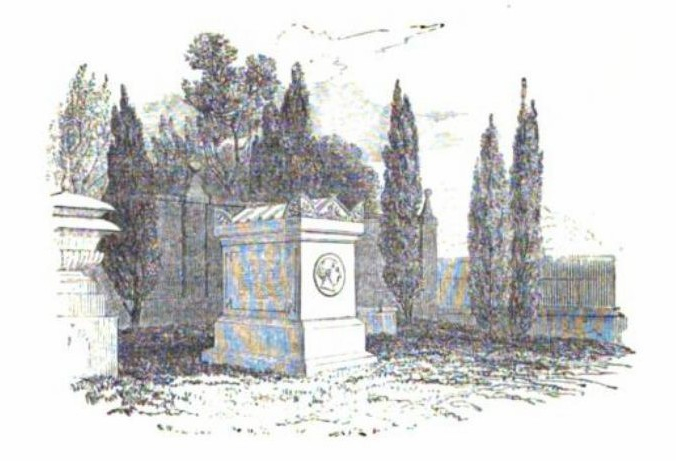 The spot of the burial, chosen by the brother Leonard, was located near the south-east wall of the cemetery, not far from the grave of Thomas Sebastian Hall, a son of the Rev. Hall who died a year and a half earlier, and right next to the spot where the same Rev. Hall would be buried seven years later. This coincidence is not the only one related to this burial, as we will see. Francis and Louisa Jane Drewe were two of the children of Caroline Allen, a sister of Jessie, and died respectively at 14 and 17 years of age. Their grave is still next to Horner’s. It appears, however, improbable that they were able to attend the funeral since they were both already ill at the time. 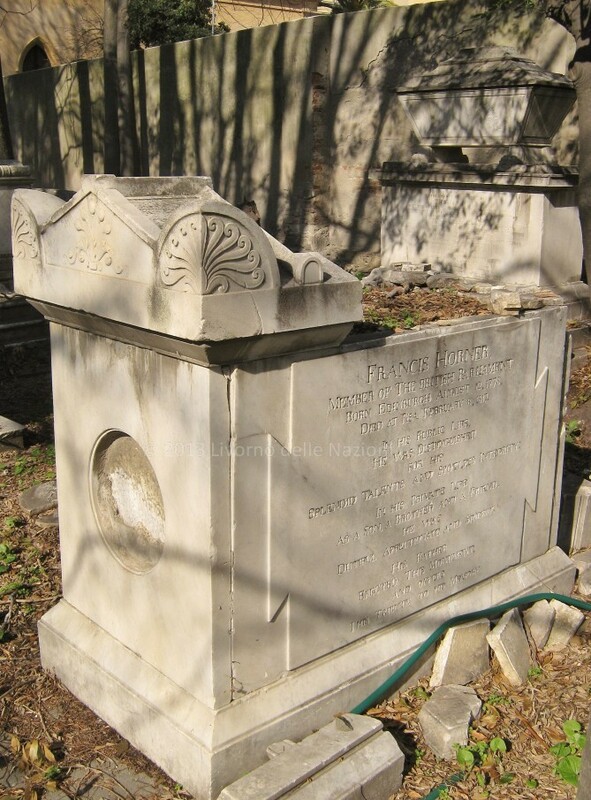 From Leonard Horner’s journals we know that their father decided to order a marble monument for his son’s grave in Livorno which was designed by Sir Henry Charles Englefield, the English antiquary and scientist. 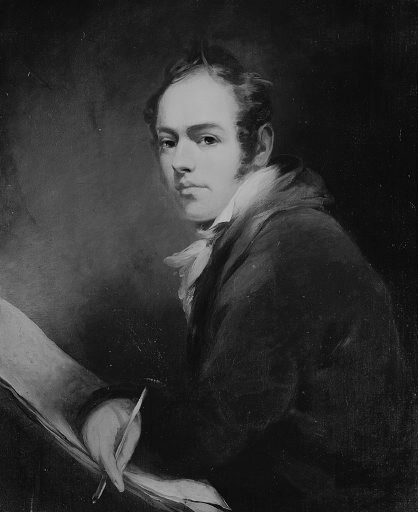 The same Sir Englefield was also the author of the iscription destined for the marble statue of Francis Horner ordered in 1817 from Sir Francis Chantrey and placed in Westminster Abbey in 1823. 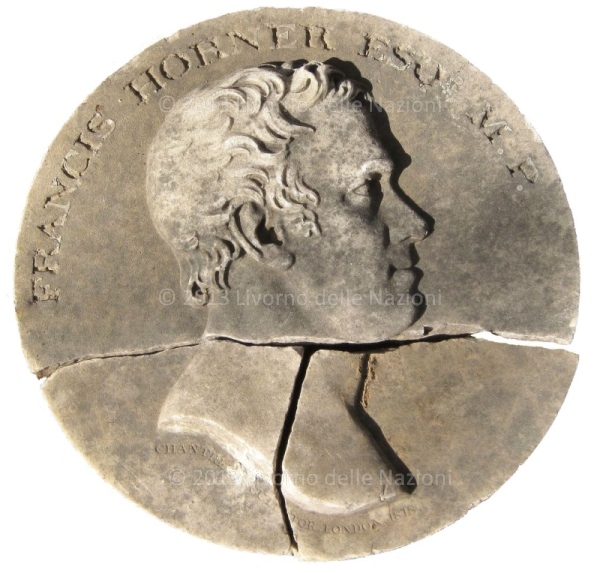 In June 1818 Chantrey received as well an order for a medallion portrait of Horner, to be placed on the monument at Livorno; this sculpture was completed at the end of October 1820 and presented to Leonard Horner free of charge. At this time, we can suppose the monument in Livorno to have been completed and waiting for the medallion to be placed on the side facing the central part of the cemetery. 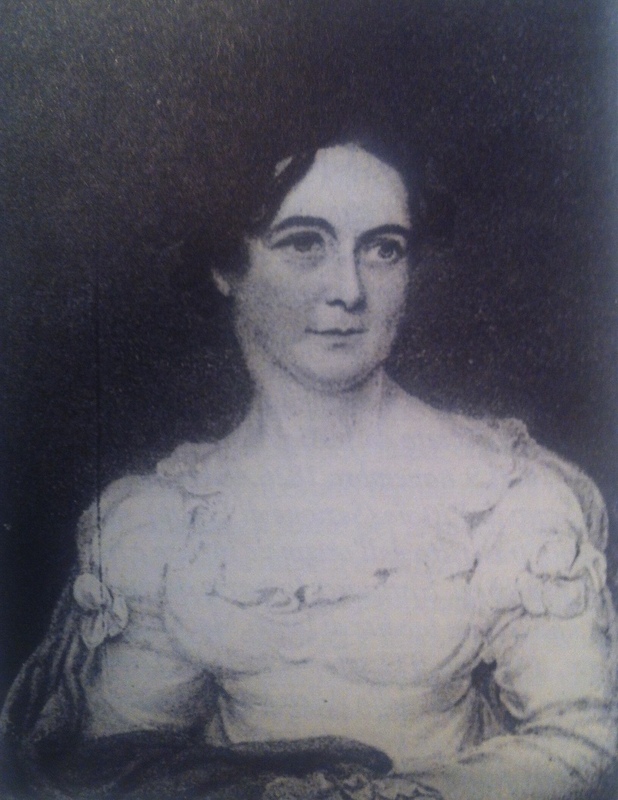 Katharine M. Lyell, Memoir of Leonard Horner, F.R.S., F.G.S. : Consisting of Letters to His Family and from Some of his Friends, Cambridge University Press, 2011, 186. From Dr. Marcet – Florence, 5th March 1821. MY DEAR HORNER, – I wrote to you a few weeks ago, and expressed my regret at having missed the opportunity of visiting your brother’s tomb. If it were necessary to show that I was sincere in my regret, I could not produce a better proof than the excursion I have just made from Pisa (where I was induced to take a trip) to Leghorn for that purpose. I can now tell you what I think of the monument. It is truly touching by its good taste and simplicity. It would have been so easy to adorn it with this or that symbol of public services, or to swell the iscription with ostentatious titles to public gratitude! The structure has sufficient mass to catch the eye; but in the detail it can only be noticed by the total absence of pretension or laboured embellishment – By the eloquent simplicity of the inscription, and by the great likeness of the medallion. My companion made me remark that the form of the tomb might have been more elegant if the base had been somewhat larger than the superstructure, so as to resemble less a regular square, but I cannot say that the circumstance would have struck me, or that I am quite satisfied with the truth of the criticism. Mr. Martin of Leghorn (Alex Prevost’s brother-in-law) was so good as to procure for me a little sketch of the tomb, which, however slightly done, will serve to give you an idea of its appearance. It is probable that you have already procured drawings of this kind, but in that case, it may be acceptable to some of the family, and at all events you will, not scold me for having ventured to inclose it in my letter. George Combe, The life and correspondence of Andrew Combe, 1850, 89. 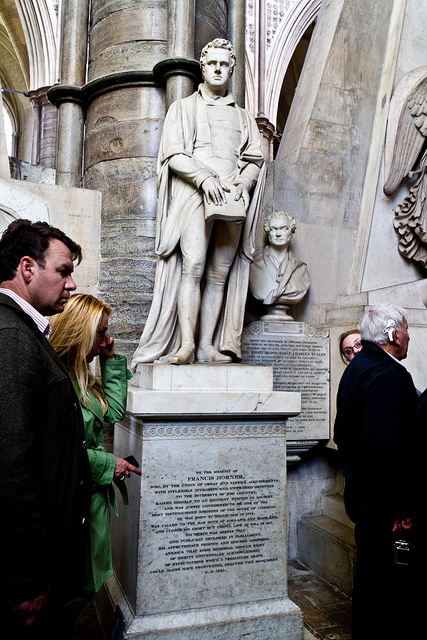 There is […] an English cemetery here, containing many handsome monuments. Among others, that of Mr. Horner interested me greatly. He died, as you know, at Pisa, in 1817, still a young man. There is a bust of him. His head is among the best I have ever seen. The organs of the intellectual faculties are very large; those of the moral sentiments are beautifully developed; and the organs of Language are large. (…) We also saw the English Burying Ground in which we were very much interested. It is full of very handsome monuments […] but that which mostly attracted our attention was Francis Horners, who died here at Pisa and was buried there. It was raised by his father and is very handsome. There is a Basso Relievo of the deceased upon it which is I think like him. The inscription on one side is in English and on the other in Latin – it describes, and I believe justly, his talents and virtues and states that the monument was erected by his father. We have been to Leghorn, a train took us there in half-an-hour. We found my dear brother’s monument almost hid by bushes around it, the inscription on both sides scarcely to be seen. I have given directions for all these to be removed, and a low railing to be placed round the monument. The letters of the inscriptions which are cut in the marble, are scarcely legible, so I said that I should like them to be touched with black paint, but Susan suggested that they should be gilt, and that I have directed to be done. The space between the foot of the monument and the rail will be planted with flowers, and I shall make an arrangement that will secure its being at all times in order. The medallion is in perfect preservation. It is by far the most beautiful monument in the cemetery; it was designed by Sir Henry Englefield. To perform this duty to the memory of my brother has been a source of great comfort to me. Yesterday Joanna and I went to Leghorn, my chief object was to see the repairs of my brother’s monument, which I had ordered six months before. I found all quite to my mind, the shrubs that hid it have been removed, an iron railing placed round it, the marble cleaned, and the letters of the inscription gilded. I trust that those who are to come after me, will not allow it to be neglected. No more burials are now in this cemetery, and the Committee of the English Church are having it put in complete order. 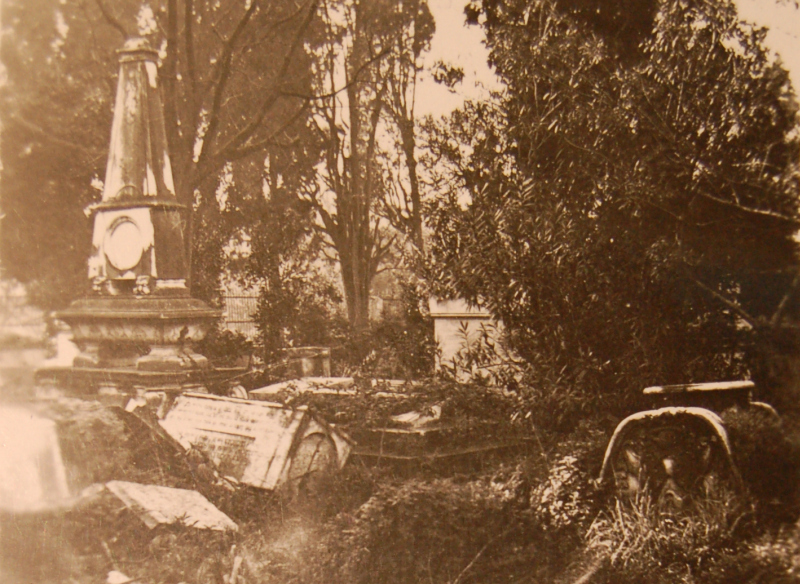 During the terrible period of WWII, the cemetery was not only damaged by bombs but also plundered by people searching for iron, marble and wood to be sold. It was probably for these reasons that Professors Yarrington and Sicca, who citing this grave in their works but not finding the medallion where it should be, believed it lost or stolen. In 2012 the members of the association “Livorno delle Nazioni”, during their voluntary cleaning work at the cemetery (begun in 2009), found the “lost” medallion portrait in the vicinity of Horner’s monument and successfully identified it. Immediately contacts were made with Dr. Sicca and Yarrington who confirmed the authenticity of the sculpture and a complex process was then started with the Soprintendenza di Pisa, the Misericordia of Livorno, and the British Consulate General in Milan, to secure and transfer the work to the Fattori Museum of Livorno. A conference was held on May 17th, 2013 to announce the finding to the public and the press. The above picture represents the medallion portrait in the condition in which it was found, without any restoration besides some basic removal of the dirt and plants that were covering it. We now hope that some charity or modern Maeceanas may find the story of this tomb and its medallion of interest and allow it to be restored and returned to the monument. ODNB, Oxford Dictionary of National Biography, online version. Toscana cosmopolita del primo Ottocento, da un carteggio inedito di Jessie Allen con Jean Charles Sismondi, Livorno, Debatte, 2006. It is great to see this history recorded. I will contact you again shortly and I’m sure my relatives will be most interested. Mon cher Matteo, Très beau travail et belle présentation du travail réalisé autour de cette tombe non encore reconstituée et du médaillon sauvé par les soins des travailleurs acharnés du cimetière.